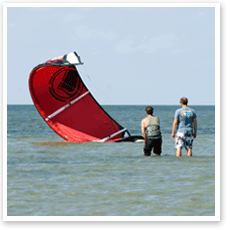 Summer Kite Repair Savings You can ship us your damaged kite to get it fixed. Air Padre Kite Repair Services You can ship us your damaged kite to get it fixed. Read reviews of Air Padre Kiteboarding on TripAdvisor! 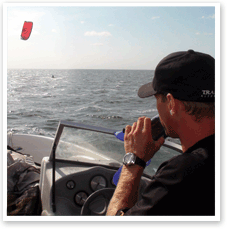 Take group kiteboard lessons to learn how to kiteboard safely - intro through advanced. 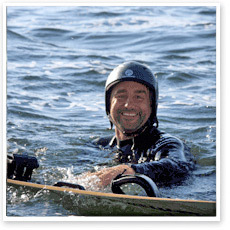 Book private kiteboard lessons for one-on-one instruction with full boat support - intro through advanced. Take a Kite Buggy lesson to become proficient at kite flying and buggying on wide-open sand flats and then later on in the dunes of South Padre. Take a kite landboard lesson to become proficient at kite flying and land boarding in combination on wide-open sand flats. 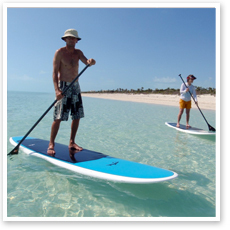 Schedule a SUP lesson to learn the basics of stand up paddle boarding in the Laguna Madre Bay. 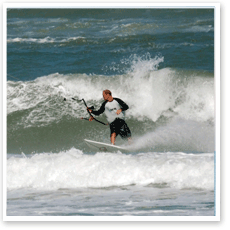 Take a kitesurfing lesson to advance in your wave riding, transitioning, and powered kite maneuvers in the ocean. 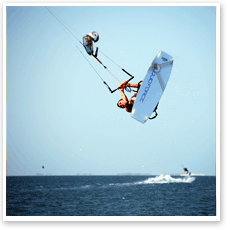 Start learning how to kiteboarding and other watersports today! 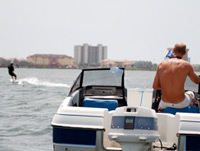 The first step in learning any new water sport is understanding the fundamentals and safety involved. Air Padre first started as a kiteboarding lesson center, but has now grown into a multifaceted adventure watersports complex. Our teaching methods have only improved with time and we now are able to instruct students throughout a wide range of water activities. Certified instructors, full boat-support, attention to detail and safety, and enthusiasm have made us one of the most highly acclaimed instructional facilities in the nation. If you are planning on taking a lesson with Air Padre, then you have chosen the right establishment, and we will work hard to teach you properly and efficiently throughout your stay. Take a moment to stop by our location at 5709A Padre Boulevard to take a look at our equipment and meet with our certified professionals. 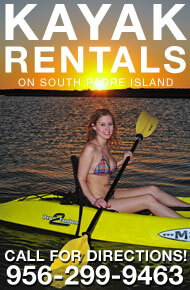 Why Choose Air Padre as your adventure watersports school? Endless, shallow, flat water. 1,000,000 acres of it! Optional Video and Photo services hook you up with the proof and great memories. 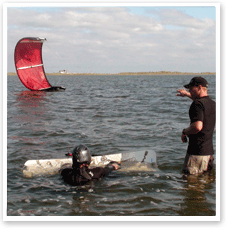 Covers: Advanced Transitions, Jumping, Load-and-Pop, Unhooked Riding, kite loops, 360s, etc. "For those on the fence I recommend taking the plunge and doing so with Air Padre.... very knowledgeable, patient, and helpful. As others have posted, it's definitely a good idea to get your video and trainer kite practice out of the way prior to the first lesson. My wife and I both had a blast and are making plans for our next trip to SPI to hook up with Air Padre for more lessons. "- Tim R.